If you are a regular park user or if you just so happen to stumble upon it, you will notice many things: the restoration efforts, the waterfalls, and the meadows, for instance. The park is constantly grasping and shifting your attention from one detail to another. Yet among all the perceivable details, we tend to overlook small elements that can shift our perspective of the park. Take for example, the marker stones. 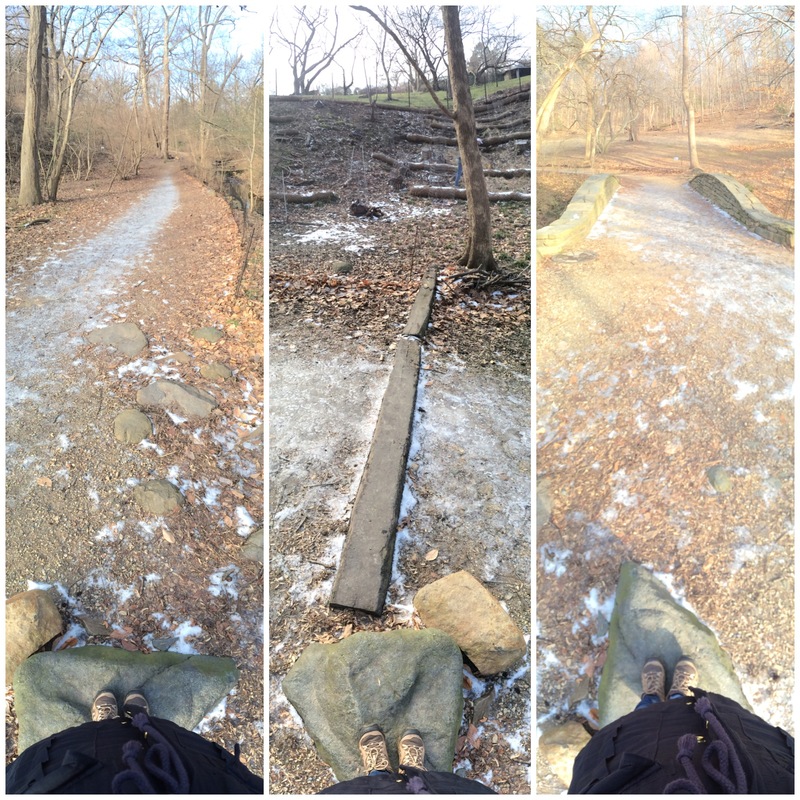 The National Park Service notes in the Dumbarton Oaks Park Cultural Landscape Report that “Beatrix Farrand used stones, either in singles, pairs, or in series, to mark the beginning of a path, line its route, or call attention to a view or feature.” Although the larger stones indicate an intersection or attribute, they are also used to attain your attention to a certain panorama. Next time you are down at the park, go search for such stones and let the inner child in you climb up on them. Explore the different views each can offer. These marking stones tend to be disregarded by most visitors, but take some time to notice and use them, and you might just discover something new about the park. One marker stone, three views. Photo taken in January 2015.